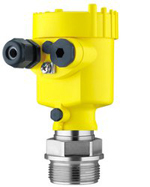 For pressure and level measurement on the principle of hydrostatic pressure sensors we offer the VEGA from the Grieshaber VEGABAR series. 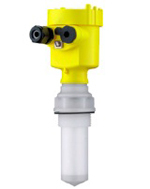 The VEGA Grieshaber company offers sensor suitable for measuring the relative and absolute pressure of gases, vapors and liquids or for measuring hydrostatic pressure – level. The sensors are particularly suitable for use in the paper industry, food, pharmacy, or in water management. In addition to the normal liquids, the sensors meet the requirements for use in the measurement of abrasive media. The ultrasonic level measurement is suitable for the contactless measurement of aggressive liquids. waste water and chemicals in different tanks or tanks with its price and high reliability ideal for non-contact level measurement of water. For measurement of aggressive liquids and for liquids in the open tanks, we have extensive experience deploying sensors series VEGAPULS company VEGA Grieshaber, which operate on the principle of electromagnetic radiation. Advantages of this sensor deployment are evident everywhere, where it is suitable for measuring narrow radar signal – high narrow tanks, measuring through a small peephole, etc.